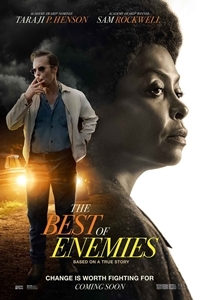 SynopsisBased on a true story that centers on the unlikely relationship between Ann Atwater, an outspoken civil rights activist, and C.P. Ellis, a local Ku Klux Klan leader who reluctantly co-chaired a community summit, battling over the desegregation of schools in Durham, North Carolina during the racially-charged summer of 1971. Now Playing At Choose a theatre Shawnee 18 with Grand Screen®, MX4D®, and screenPLAY! Lee’s Summit 16 with Grand Screen®, MX4D® & screenPLAY!Northland 14 Tulsa Starworld 20 w/ Grand Screens®, MX4D®, & screenPLAY!